Those who abuse illicit drugs like cocaine doubtfully know the harmful health effects they can suffer, prompting Narconon International to issue this web-based report. In this new website feature, anyone can find out more about effects cocaine can have on their health and the risk of death that accompanies the drug. When a person starts abusing drugs like cocaine, Spice or painkillers, they don't start out by asking about the health risks. And drug dealers don't volunteer the information. Therefore, millions of people risk their health and even their lives by abusing drugs that can cause serious, sometimes fatal damage. "Everyone who is using or tempted to abuse drugs or alcohol needs to have this information in their hands now," said Clark Carr, president of Narconon International. Narconon is a non-profit organization dedicated to the elimination of drug abuse and addiction. "A person who starts using cocaine isn't thinking about the fact that cocaine could damage or even kill him the first time he uses it. To save lives, we are releasing health risk information for each illicit drug, starting with cocaine." Just days ago, a Long Island man died after a scuffle with police. Police approached him while he was standing in the road, highly agitated. When they restrained him, cocaine-related heart damage and his current state of cocaine toxicity caused his death. In 2012, singer Whitney Houston died in her bath, her death was later ruled to be due to heart disease and cocaine use. 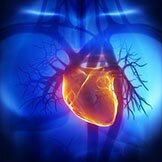 News reports noted that cocaine scars the heart and increases the risk of heart attack and sudden cardiac death. "Certainly, cocaine damages the heart, but it also dangerously affects the brain, intestines, vascular system and of course, has serious effects on unborn children," said Carr. "In this new website feature, anyone can find out more about effects cocaine can have on their health and the risk of death that accompanies the drug. We will follow this feature with additional information on all the other drugs of abuse. People need to know the risks." To view the information on the many different types of health damage that can result from cocaine abuse, visit: http://www.narconon.org/drug-abuse/cocaine/health-risk.html. "With some drugs, a person runs serious risk every time he or she indulges," added Carr. "They can make better decisions when they have the facts."